Click here for a larger (1mb) version of this map. Click here for a very large (1.7mb) version of this map. You can read the all the towns and details very well on this version. 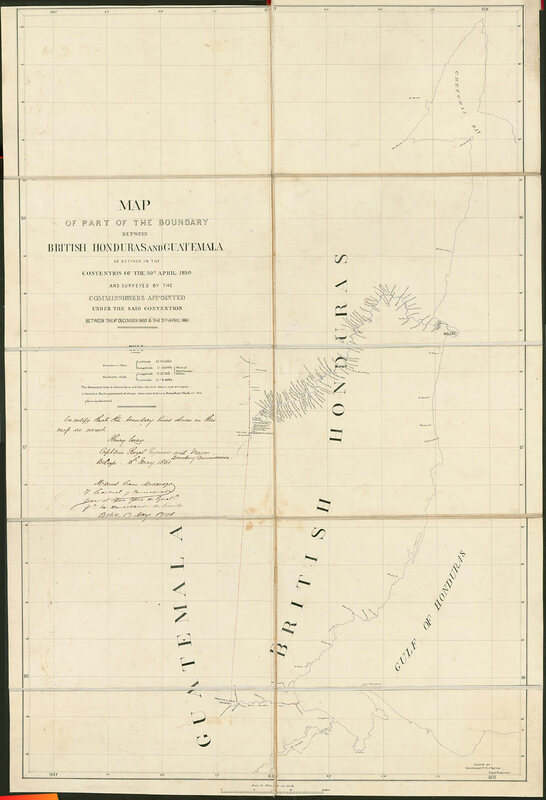 Under the terms of the Wyke–Aycinena Treaty of 1859 (PDF), Guatemala agreed to recognize Belize and Great Britain promised to build a road from Guatemala to the nearby Belize town of Punta Gorda. In 1940, Guatemala claimed that the 1859 treaty is void because the British failed to comply with economic assistance provisions found in Clause VII of the Treaty. Belize, once independent, claimed this was not a treaty they were bound by since they did not sign it. Belize further argued that International Court of Justice rulings and principles of international law such as uti possidetis juris and the right of nations to self-determination demand that Guatemala honour the boundaries in the 1859 treaty even if the UK never builds the road as promised. Negotiations proceeded for many years, including one period in the 1960s during which the United States government unsuccessfully sought to mediate, but these talks did not include the actual residents of Belize. Between 1975 and 1979, Mexico, Nicaragua, Cuba, and Panama changed their stances from supporting Guatemala to supporting Belize. A 1981 trilateral (Belize, Guatemala, and the United Kingdom) "Heads of Agreement" was encouraged by the United Nations, which had already recognized Belize's independence. Although the Heads of Agreement would have given only partial control and access to assets in each other's nations, it collapsed when Guatemala renewed its claims to Belize soil and Belizeans rioted against the British and their own government, claiming the Belizean negotiators were making too many concessions to Guatemala. Thus, Belize gained independence on September 21, 1981, with the territorial dispute unresolved. Significant negotiations between Belize and Guatemala, with the United Kingdom as an observer, resumed in 1988. Guatemala recognized Belize's independence in 1991 and diplomatic relations were established. On October 19, 1999, Said Musa, the Prime Minister of Belize, was made aware that Guatemala wanted to renew its claim. As a new line of reasoning for their claim (instead of basing it on the 1859 treaty), Guatemala asserted that it had inherited Spain's 1494 and 18th century claims on Belize and was owed more than half of Belize's land mass, from the Sibun River south. This claim amounts to 12,272 km2 (4,738 sq mi) of territory, or roughly 53% of the country. The claim includes significant portions of the current Belizean Cayo and Belize Districts, as well as all of the Stann Creek and Toledo Districts, well to the north of the internationally accepted border along the Sarstoon River. The majority of Belizeans are strongly opposed to becoming part of Guatemala and accuse Guatemala of colonialism. The Guatemalan military placed personnel at the edge of the internationally recognized border. Belizean patrols incorporating both Belize Defence Force members and police forces took up positions on their side of the border. In February 2000, a Belizean patrol shot and killed a Guatemalan in the area of Mountain Pine Ridge Forest Reserve in Belize. On February 24, 2000, personnel from both nations encountered each other in Toledo District. The two countries held further talks on March 14, 2000, at the Organization of American States (OAS) in the presence of Secretary General César Gaviria at OAS headquarters in Washington, D.C. Eventually they agreed to establish an "adjacency zone" extending one kilometer (0.62 mi) on either side of the 1859 treaty line, now designated the "adjacency line", and to continue negotiations. In June 2008, Belizean Prime Minister Dean Barrow said resolving the dispute was his main political goal. He proposed referenda for the citizens of Belize and Guatemala, asking whether they support referring the issue to the International Court of Justice (ICJ). An official special agreement on submitting the issue to the ICJ was signed on 8 December 2008, with a referendum to be held on the issue simultaneously in Belize and Guatemala on 6 October 2013, but it was suspended. Both Guatemala and Belize are participating in confidence-building measures approved by the OAS. In May 2015, Belize allowed Guatemala to proceed with a referendum asking the International Court of Justice (ICJ) to definitively rule on the dispute although Belize by its own admission is not ready for such a vote. A previous treaty between the two countries stipulated that any such vote must be held simultaneously. Guatemala was initially expected to hold its referendum on the issue during its second round of presidential elections in October 2015, but such a vote was not on the ballot. Belize has yet to announce its vote on the matter. Guatemalan president-elect Jimmy Morales has made statements strongly in support of Guatemala's longstanding territorial claim to Belize, saying, "Something is happening right now, we are about to lose Belize. We have not lost it yet. We still have the possibility of going to the International Court of Justice where we can fight that territory or part of that territory." Here is an analysis of the 1859 border treaty between Great Britain and the Republic of Guatemala which established the boundary line between the settlement of Belize (British Honduras) and Guatemala on April 30, 1859, in Guatemala City, Guatemala. To properly understand this treaty one should know the context of the circumstances surrounding the chief players when the treaty was signed. The first player was William Walker, the American adventurer (filibusters). It was in 1855 that William Walker came to Nicaragua with 57 men and offered his services to the Liberals who were fighting against the Conservatives He eventually ended up as the President of Nicaragua in 1856 and brought to Nicaragua 2,500 more Civil War veterans from the U.S.A. He declared Nicaragua a slave state and changed the official language to English. It was then recognized as a nation by the U.S.A. This caused the five Central American countries to form a Central American army led by the President of Costa Rica, General Rafael Mora. On discussing the problem of army supplies with Carrera, the President of Guatemala, Mora was told by Carrera that he would get the necessary supplies from the coffers of his good friends the British. (Lyn V. Foster). P.168 Walker was eventually defeated by General Mora and the Central American army and was returned to the U.S.A. on an American ship. He was tried in court in the U.S.A. and he won his case. He then wrote a book and made enough money selling it which enabled him to try again to conquer another Central American country, Costa Rica. He was captured by the American Navy and sent back to the U.S.A. Walker was very persistent and tried to return again. He was intercepted by the British blockade off the island of Roatan and handed over to Santos Guardiola, the President of Honduras, who had him shot on the beach in 1860, one year after the 1859 boundary treaty, Belize-Guatemala. The second player was the country of Guatemala. President Carrera of Guatemala was very concerned about American filibusters trying to do the same harm to Guatemala as William Walker did to Nicaragua and unsuccessfully tried to do to Costa Rica. President Carrera asked both Britain and France to guarantee the sovereignty of Guatemala against the filibusters. They both refused to do so. In 1858 Guatemala again asked Britain to make a secret protection treaty with her. Britain thought this was not the proper way to do international treaties and again refused. (Dobson P.203). It must be remembered here that Britain was a close friend of Central America. In November of 1824 when the Central American Federation was formed it was a London Bank that loaned 500,000,000 pesos to the Federation to put in its Treasury. (Lyn V. Foster)P.137. It was also Britain that blockaded the Central American coastline to prevent William Walker from receiving supplies from the U.S.A. Britain as well, at Carrera’s request, provided army supplies to the Central American Army under the command of General Rafael Mora of Costa Rica. (Lyn V. Foster). Britain at this point was Guatemala’s largest trading partner through the port of Belize Town in the Baymen settlement. Sixty percent (60%) was traded through Belize, 20% direct from Britain and 17% from France (Dobson). Guatemala was also concerned about the aggressive Baymen always searching for more mahogany to cut and feared that they would continue to push more west into Petén. Guatemala needed the treaty to establish a border that would prevent the Baymen from pushing deeper into Petén. For all these reasons it was not surprising that Guatemala approached Britain again in 1858 to make a border treaty defining the boundary line between the settlement and Guatemala. Guatemala also knew that American filibusters would never cross a British borderline. The next player was Britain and the Baymen Settlement of Belize on the south east of the Province of Yucatan in Mexico. Britain had a good trade agreement with Guatemala and wanted to expand this prosperous trade into Central America also. Britain made boundary treaties with Honduras and Nicaragua in 1859. When Guatemala proposed the Treaty of 1859 she had a clause that stated she (Guatemala) was ceeding her rights to the territory of Belize as a successor to Spain. Britain flatly rejected this clause in the first draft of the Treaty when Britain and Guatemala opened negotiations for the 1859 Boundary Treaty. Britain’s objection was accepted by Guatemala and the 1859 Treaty was agreed to and was signed and ratified by both Britain and Guatemala in Guatemala City on April 30, 1859 in a very cordial and friendly atmosphere (Dobson). The fourth player in this situation was the United Stated of America. President Polk of the U.S.A. was known as the expansionist president. Under his tenure as president the U.S.A invaded Mexico and took the Northern territories of Mexico — California, New Mexico, Arizona, Colorado and Texas, incorporating them into the U.S.A. When gold was discovered in California the U.S.A needed as short as possible a sea route between the Atlantic and the Pacific oceans. The U.S.A wanted to use the San Juan River between Nicaragua and Costa Rica, going into Lake Nicaragua and overland 12 miles to the Pacific Ocean. However, the Port of Greytown at the mouth of the San Juan River was a port of the Mosquito Kingdom under the protection of the British. The Mosquito King also had a large Army and two naval vessels trained and supplied by Britain. Both Britain and the U.S.A also knew that neither of them had all the technology nor the finance to do the waterway alone but that together they could do it. As a result of this knowledge the Clayton/Bulwer Treaty was signed in 1850 which stated that neither the U.S.A. nor Britain would colonize Honduras, Nicaragua or Costa Rica. It also stated that the Port of Greytown would be a freeport owned by Nicaragua. Britain would withdraw its protection from the Mosquito Kingdom provided that the Nicaraguan Government would create a special Indian Reserve for the Mosquito Indians and its king. Belize had it’s boundaries specifically defined as the Sarstoon River in the South and the Rio Hondo in the North and was recognized as a legitimate British settlement, so defined with all its neighboring cayes. The Dallas/Clarendon Convention was drawn up in 1856 to clarify some misunderstandings in the Clayton/Bulwer Treaty of 1850. Both Britain and the U.S.A. agreed to the Dallas/Clarendon which again clearly defined the borders of the British Settlement of Belize as the Sarstoon River in the south and the Rio Hondo in the north and stipulated that the British settlement should not expand any more into the west beyond Garbutt’s Falls. The U.S.A., however, did not ratify because President Buchannan of the U.S.A had some problems with the governing of the Bay Islands. The Convention between Her Majesty and the Republic of Guatemala relative to the boundaries of British Honduras. Signed on the 30th of April, 1859. Article I: It is agreed between Her Britannic Majesty and the Republic of Guatemala that the Boundary between the Republic and the British Settlement and possessions in the Bay of Honduras, as they existed previous to and on the 1st day of January, 1850 and have continued to exist up to the time, was and is as follows: Beginning at the mouth of the River Sarstoon in the Bay of Honduras, and proceeding up the mid-channel there of to Gracias a Dios Falls; then turning to the right and continuing by a line drawn direct from Gracias a Dios Falls due North until it strikes the Mexican Border: It is agreed and declared between the High Contracting Parties that all the territory to the North and East of the line of Boundary above described belongs to Her Britannic Majesty, and that all the territory to the South and West of the same belongs to the Republic of Guatemala. It should be noted that the boundary agreed upon is that which existed in 1850 and before. Guatemala did not own any territory she could cede after 1850 as agreed in Article I in 1859 to Britain when the Treaty was signed. Therefore the 1859 Treaty could not be one of land cession. The “before” refers to the 1834 declaration by the public meeting of the Baymen defining the boundary as the Sarstoon River in the south and the Rio Hondo River in the north, which Britain agreed to and informed Spain (Dobson). As Guatemala herself did not declare her sovereignty until 1840, the “Grandfather Clause” comes into play. While Guatemala was still a province of the Central America Federation and not yet a sovereignty country, the free and independent self-governing settlement declared its boundary as the Sarstoon and Rio Hondo Rivers. Article II: Her Britannic Majesty and the Republic of Guatemala shall within twelve months after the exchange of the ratifications of the present Convention appoint each a commissioner for the purpose of designating and marking out the boundary described in the preceding Article. Such commissioners shall ascertain the latitude and longitude of Gracias a Dios Falls and of Garbutt’s Falls, shall cause a line of boundary between Garbutt’s Falls and the Mexican territory to be opened and marked where necessary as a protection against future trespass. Article III: The commissioners mentioned in the preceding Article shall meet at such place or places as shall be hereafter fixed, at the earliest convenient period after they shall have been respectively named; and shall, before proceeding to any business, make and subscribe a solemn declaration that they impartially and carefully examine and decide, to the best of their judgment, and according to justice and equity, without fear, favor, or affection to their own country, upon the matter referred to them for their decision; and such declaration shall be entered on the record of their proceedings. The Commissioners shall then, and before proceeding to any other business, name some third person to act as an arbitrator or umpire in any case or cases in which they themselves differ in opinion. If they shall not be able to agree upon the choice of such a third person, they shall each name a person; and in each and every case in which the Commissioners may differ in opinion as to the decision which they ought to give, it shall be determined by lot which of the two persons so named shall be the arbitrator or umpire in that particular case. The person or persons so to be chosen shall, before proceeding to act, make and subscribe a solemn declaration, a form similar to that which shall already have been made and subscribed by the commissioners, or of either of such arbitrators or umpires, or of his omitting, or declining, or ceasing to act another person shall be named, in the same manner to act in his place or stead, and shall make and subscribe such declaration as aforesaid by Her Britannic Majesty and the Republic of Guatemala shall engage to consider the decision of the two commissioners conjointly, or of the arbitrators or umpire, as the case may be as final and conclusive on the matters to be respectively referred to their decision, and forthwith to give full effective to the same. Article IV: The commissioners herein before mentioned shall make to each of the respective Governments a joint report or declaration, under their hands and seals, accompanied with a map or maps in quadruplicate (two to each Government) certified by them to be true maps of the boundary defined in the present Treaty and traversed and examined by them. Article V: The commissioners and arbitrator or umpire shall keep accurate records and correct minutes or notes of all proceedings, with the dates thereof, and shall appoint and employ such surveyors, clerk or clerks, or other persons, as they shall find necessary to assist them in the transaction of the business with which may come before them. The salaries of the commissioners shall be paid by their respective governments. The contingent expenses of the commission, including the salary of the arbitrator or umpire, and of the surveyors and clerks shall be defrayed in equal monies by the two governments. 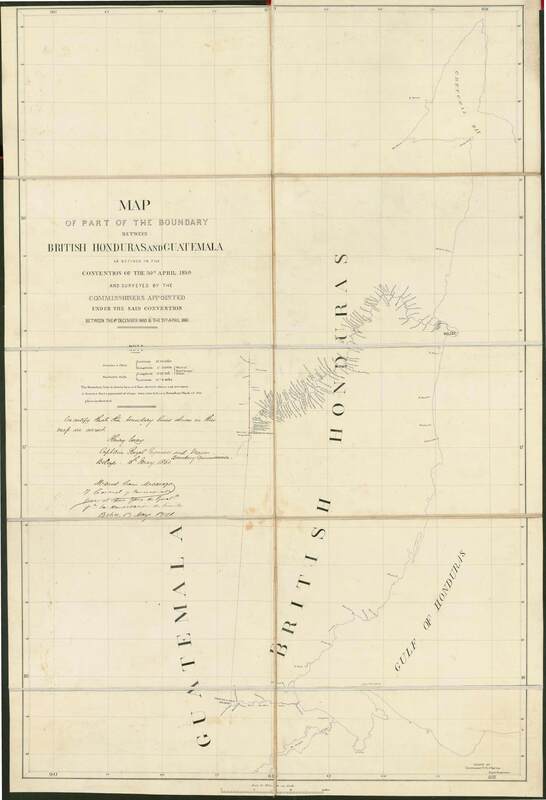 Article VI: It is further agreed that the channels in the waterline of the boundary described in Article I of the present convention shall be equally free and open to the vessels and boats of both parties; and that any islands which may be found therein shall belong to that party on whose side of the main navigable channel they are situated. Article VII is a consequential clause, not a conditional clause to validate the preceding six Articles. Article VII says “Since we have enacted the first six clauses which produce benefits if we ‘joint venture’ communications it will add still more benefits to both of us — especially since we have a solid border and all incursions from both sides will stop.” What steps were taken to implement the “joint venture” communication: the cart road? Article VII: With the object of practically carrying out the views set forth in the preamble of the present Convention for improving and perpetuating the friendly relations which at present so happily exists between the two High Contracting Parties, they mutually agree conjointly to use their best efforts by taking adequate means for establishing the easiest communication (either by means of a cart-road, or employing the rivers, or both united, according to the opinion of the surveying engineers), between the fittest place on the Atlantic coast near the settlement of Belize and the capital of Guatemala; whereby the commerce of England on the one hand, and the material prosperity of the Republic on the other cannot fail to be sensibly increased at the same time that the limits of the two countries being now clearly defined, all further encroachments by either party on the territory of the other will be effectually checked and prevented for the future. 1. Britain would provide all the technical input. 2. Guatemala would supply all the material necessary. 3. Britain and Guatemala would share the cost of labor equally. 1. Britain would supply the technical inputs. 2. Guatemala would supply all the material needed. 3. Britain would pay all the labor costs. Of course Wyke denied the #3 position. It came down to a “you say”-”I say” situation that was getting nowhere. Gladstone, the Chancellor of the exchequer of Great Britain, suggested: draw up a new convention to cover what each party would do towards the “joint venture”! Eventually in 1863 both sides agreed on the way forward. The British Government would ask Parliament to provide 50,000 Pounds Sterling which would cover Britain’s remaining contribution to the “joint venture”. Both Britain and Guatemala agreed to the convention and to ratify it within six months, which Britain did. 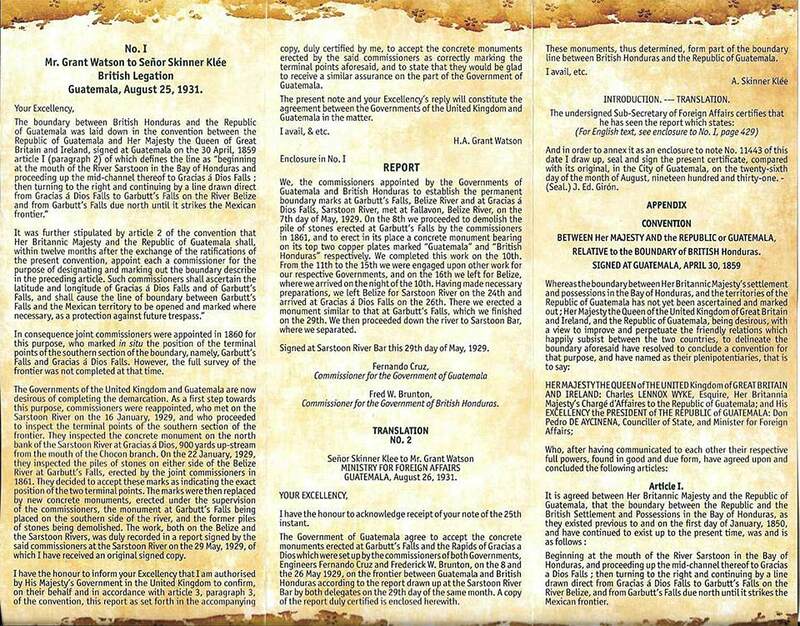 Guatemala finally ratified in May 1865, with “clarifications” which Britain rejected. There it laid until 1929 when Guatemala approached Britain about completing the survey as stipulated in Article II in the 1859 Treaty. New cement columns were installed in place of the pile of stones set there in 1859, at Gracias a Dios Falls on the Sarstoon River, and at Garbutt’s Falls on the Belize River and diplomatic notes were exchanged certifying the Boundary as marked by the cement columns as on August 26th, 1931, stating clearly: “These monuments, thus determined, (at Gracias a Dios Falls, Sarstoon River, and Garbutt’s Falls on the Belize River) form part of the boundary line between British Honduras and the Republic of Guatemala.” Here again Guatemala re-ratified the Treaty of 1859 by signing the exchange of diplomatic notes. I think that this was the only border treaty that has been ratified two times within a 71-year period. The Boundary Treaty is a “reinforced treaty.” It is a double-strength treaty! a) By November 1860 Capt. Wray (army engineer) had indicated a road from Izabal on the South Shore of Lake Izabal to Guatemala City, (157) miles which he surveyed and designed and estimated to cost 145,000 Pounds Sterling and would take 4 years to complete. b) In 1861 Capt. 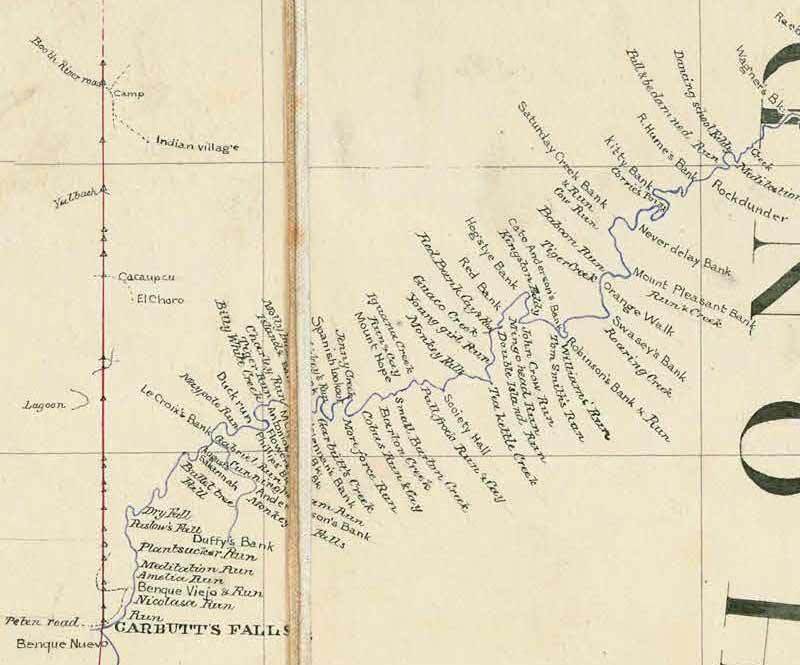 Wray had started surveying from Garbutt’s Falls toward the North in conjunction with the boundary commission. Indian activity in the area caused the project to be “put off” – 23 miles completed (handbook of Br. Honduras, 1925). c) In 1863 Britain and Guatemala agreed on a convention to be ratified in six months, which Britain did. d) This stated: The Government of Britain would apply to Parliament for 50,000 Pounds Sterling which it was agreed would be Britain’s contribution to fulfill her responsibility in the join venture to complete the means of communication. Britain signed and ratified within the six month period. e) Guatemala, being at war with Salvador, did not ratify within the six- month period stipulated. However, Guatemala finally ratified in May 1865, with added “clarifications” which Britain rejected. While Britain did all she possibly could to make the “joint venture” of the road work by surveying, designing and estimating cost and time to complete and by approving and ratifying the 1863 Convention, Guatemala did absolutely nothing to help the “joint venture” road. She agreed to the 1863 convention but did not ratify until May 1865 and with “clarification,” which Britain rejected. I pose the question: What would be the situation today if Guatemala had ratified the convention as she promised she would do within the 6-month period and without added “clarifications”? 1. Britain fulfilled her technical obligations. 2. Britain agreed to pay 50,000 pounds sterling to complete her obligations towards the “joint venture” road —1863 convention. 3. Britain surveyed the complete border under the supervision of the border commission as established in article II, III,IV & V of the 1859 treaty. 4. Guatemala did nothing but argue and procrastinate! Who did not fulfill article VII? Beginning at the mouth of the River Sarstoon in the Bay of Honduras and proceeding up the mid-channel thereof to Gracias a Dios Falls; then turning to the right and continuing by a line drawn direct from Gracias a Dios Falls to Garbutt’s Falls on the River Belize, and from Garbutt’s Falls due north until it strikes the Mexican frontier. Excellent presentation on this national issue. 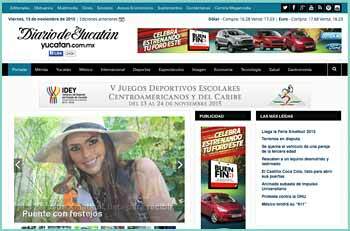 The above video is in Spanish. When Spain attempted to eject them and seize their land and wealth, the Baymen revolted. Spain's last military attempt to dislodge the rebellious settlers was the 1798 Battle of St. George's Caye, which ended with Spain failing to re-take the territory. The Baymen never asked for nor received a formal treaty with Spain after this, and the UK was only able to gain partial control of the settlers by 1816; British people continued operating their own local government without permission from either imperial power, though the British tacitly accepted the situation. This lasted until they joined the British Empire in 1862.The territorial dispute's origins lay in the 18th-century treaties in which Great Britain acceded to Spain's assertion of sovereignty while British settlers continued to occupy the sparsely settled and ill-defined area. The 1786 Convention of London, which affirmed Spanish sovereignty was never renegotiated, but Spain never attempted to reclaim the area after 1798. Subsequent treaties between Britain and Spain failed to mention the British settlement. By the time Spain lost control of Mexico and Central America in 1821, Britain had extended its control over the area, albeit informally and unsystematically. By the 1830s, Britain regarded the entire territory between the Hondo River and Sarstoon River as British. Negotiations between Britain and Guatemala began again in 1961, but the elected representatives of British Honduras had no voice in these talks. George Price refused an invitation from Guatemalan President Ydígoras Fuentes to make British Honduras an "associated state" of Guatemala. Price reiterated his goal of leading the colony to independence. In 1963 Guatemala broke off talks and ended diplomatic relations with Britain. In 1965 Britain and Guatemala agreed to have an American lawyer, appointed by United States President Lyndon Johnson, mediate the dispute. The lawyer's draft treaty proposed giving Guatemala so much control over the newly independent country, including internal security, defence, and external affairs, that Belize would have become more dependent on Guatemala than it was already on Britain. The United States supported the proposals. All parties in British Honduras, however, denounced the proposals, and Price seized the initiative by demanding independence from Britain with appropriate defence guarantees. A series of meetings, begun in 1969, ended abruptly in 1972 when Britain - in response to intelligence suggesting an imminent Guatemalan invasion - announced it was sending an aircraft carrier and 8,000 troops to Belize to conduct amphibious exercises. Guatemala then massed troops on the border. Talks resumed between 1973, but broke off in 1975 when tensions flared. Guatemala began massing troops on the border, and Britain responded by deploying troops, along with a battery of 105mm field guns, anti-aircraft missile units, six fighter jets, and a frigate. Following this deployment, tensions were defused, largely as a result of many Guatemalan soldiers deserting and returning to their homes. Belize argued that Guatemala frustrated the country's legitimate aspirations to independence and that Guatemala was pushing an irrelevant claim and disguising its own colonial ambitions by trying to present the dispute as an effort to recover territory lost to a colonial power. Between 1975 and 1981, Belizean leaders stated their case for self-determination at a meeting of the heads of Commonwealth of Nations governments in Jamaica, the conference of ministers of the Nonaligned Movement in Peru, and at meetings of the United Nations (UN). The support of the Nonaligned Movement proved crucial and assured success at the UN. Latin American governments initially supported Guatemala. Cuba, however, was the first Latin country, in December 1975, to support Belize in a UN vote that affirmed Belize's right to self-determination, independence, and territorial integrity. The outgoing Mexican president, Luis Echeverría, indicated that Mexico would appeal to the Security Council to prevent Guatemala's designs on Belize from threatening peace in the area. In 1977, Guatemala made further moves against Belize, but was deterred from invading, especially since British fighter jets had by then been permanently stationed there. From 1977 onward, the border was constantly patrolled and observation posts to monitor key points. 1976 Head of government Omar Torrijos of Panama began campaigning for Belize's cause, and in 1979 the Sandinista government in Nicaragua declared unequivocal support for an independent Belize. A last attempt was made to reach an agreement with Guatemala prior to the independence of Belize. The Belizean representatives to the talks made no concessions, and a proposal, called the Heads of Agreement, was initialled on 11 March 1981. Although the Heads of Agreement would have given only partial control and access to assets in each other's nations, it collapsed when Guatemala renewed its claims to Belize soil and Belizeans rioted against the British and their own government, claiming the Belizean negotiators were making too many concessions to Guatemala. When far-right political forces in Guatemala labelled the proposals as a sell-out, the Guatemalan government refused to ratify the agreement and withdrew from the negotiations. Meanwhile, the opposition in Belize engaged in violent demonstrations against the Heads of Agreement. The demonstrations resulted in four deaths, many injuries, and damage to the property of PUP leaders and their families. A state of emergency was declared. However, the opposition could offer no real alternatives. With the prospect of independence celebrations in the offing, the opposition's morale fell. Independence came to Belize on 21 September 1981, without reaching an agreement with Guatemala. Significant negotiations between Belize and Guatemala, with the United Kingdom as an observer, resumed in 1988. Guatemala recognized Belize's independence in 1991 and diplomatic relations were established. Britain continued to maintain a deterrent force in Belize (British Forces Belize) to protect it from Guatemala, consisting of an army battalion and No. 1417 Flight RAF of Harrier fighter jets. The British also trained and strengthened the newly formed Belize Defence Force. There was a serious fear of a Guatemalan invasion in April 1982, when it was thought that Guatemala might take advantage of the Falklands War to invade, but these fears never materialised. In 1994, three years after Guatemala recognised Belizean independence, British Forces Belize was disbanded and most British troops left Belize, but the British maintained a training presence via the British Army Training and Support Unit Belize and 25 Flight AAC until 2011, when the last British forces, except for seconded advisers, left Belize. On October 19, 1999, Said Musa, the Prime Minister of Belize, was made aware that Guatemala wanted to renew its claim. As a new line of reasoning for their claim (instead of basing it on the 1859 treaty), Guatemala asserted that it had inherited Spain's 1494 and 18th century claims on Belize and was owed more than half of Belize's land mass, from the Sibun River south. This claim amounts to 12,272 km2 (4,738 sq mi) of territory, or roughly 53% of the country. The claim includes significant portions of the current Belizean Cayo and Belize Districts, as well as all of the Stann Creek and Toledo Districts, well to the north of the internationally accepted border along the Sarstoon River.The majority of Belizeans are strongly opposed to becoming part of Guatemala. The Guatemalan military placed personnel at the edge of the internationally recognized border. Belizean patrols incorporating Belize Defence Force members and police forces took up positions on their side of the border. In February 2000, a Belizean patrol shot and killed a Guatemalan in the area of Mountain Pine Ridge Forest Reserve in Belize. On February 24, 2000, personnel from the two nations encountered each other in Toledo District. The two countries held further talks on March 14, 2000, at the Organization of American States (OAS) in the presence of Secretary General César Gaviria at OAS headquarters in Washington, D.C. Eventually they agreed to establish an "adjacency zone" extending one kilometre (0.62 mi) on either side of the 1859 treaty line, now designated the "adjacency line", and to continue negotiations.